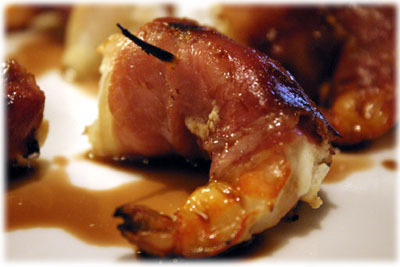 Don't let the simplicity of these easy grilled shrimp appetizers fool you. It's one of those unique flavor combinations that really catches you by surprise when you first taste them. Make the olive tapenade ahead if you want to save some time. 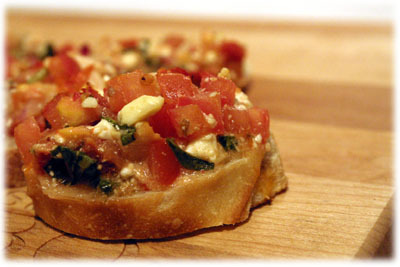 These appetizers are great served on toasted baguette slices or melba toast crackers from the grocery store. 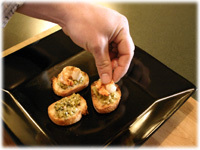 Simply spread a little tapenade on a cracker and top with a grilled shrimp and serve. 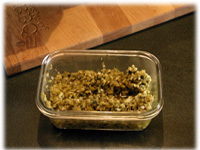 Chop the olives, capers, fresh cilantro and garlic cloves and place them in a small glass bowl. Add the crumbled feta, lemon juice and a little black pepper to taste. Stir well to combine, cover and refrigerate until ready to use. Thread 4 raw peeled shrimp on each water-soaked bamboo skewer. 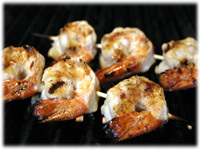 When the grills reached cooking temperature place the shrimp on the grates. Cook about 4 minutes, turning once mid-way through the cooking time. 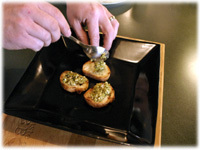 Place a spoonful of the olive tapenade on each toasted baguette slice or melba toast cracker. You can toast the baguette slices on your grill (quickly) or on a baking sheet in your oven. 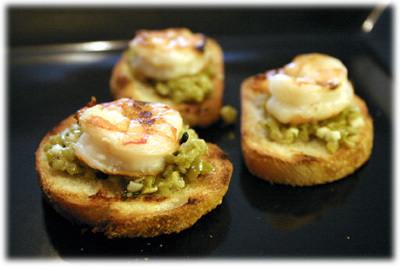 Place 1 grilled shrimp on top of the tapenade on each cracker.